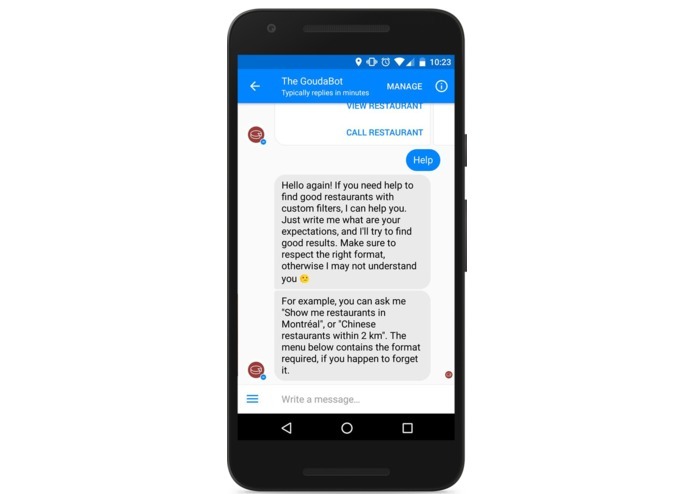 GoudaBot was inspired by the recent rapid increase in Chatbots and the emerging value that is becoming evident with regards to them. We wanted to both learn a new technology as well as build a valuable tool that others could use to simplify a portion of their life. 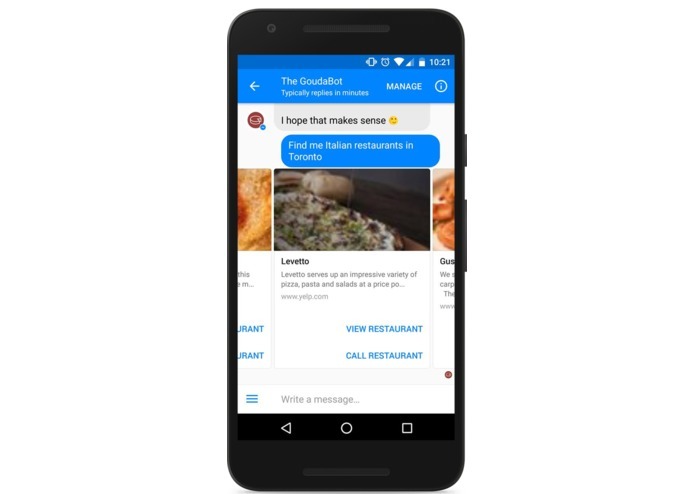 GoudaBot utilizes Facebook’s Bots for Messenger alongside Yelp’s API to create a personal assistant capable of finding you restaurants that fit your needs. 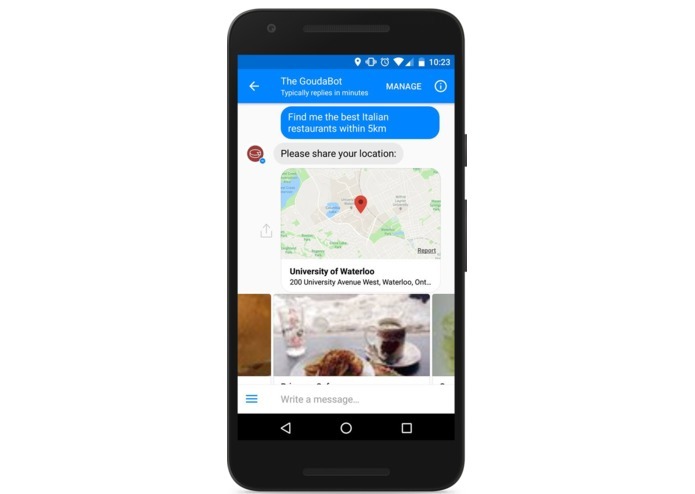 You have the ability to find restaurants based on their ratings, their proximity to your location, or a general best match. You can also search restaurants up to a maximum radius from your current position. 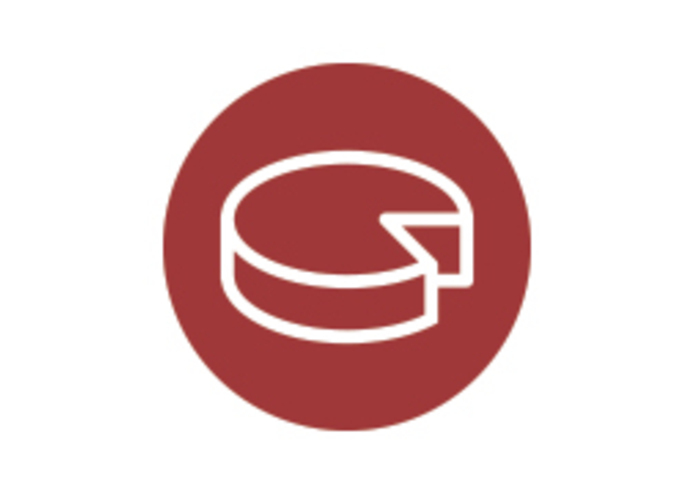 GoudaBot was built using Facebook's Bots for Messenger as well as Node/Express as a backend with Yelp's API and hosted on Microsoft Azure virtual machine with a Domain.com domain. We also created a public facing landing page using Bootstrap which explains the tool and its features broadly. A challenge we ran into was getting the DNS/Domain to work properly with Azure as well as getting an SSL certificate setup (a requirement from Facebook for the bot). Another challenge was combing through large amounts of documentation in a short amount of time. We are proud of the fact that we were able to learn a brand new technology in a short amount of time and were able to produce a working prototype as a result. We learned a large amount about how chatbots function, how they can be utilized to automate tasks, and how they can be incorporated with popular APIs to produce valuable tools.